After the Note 7 debacle, Samsung is doing everything it can to reassure the public that its smartphones are safe. The South Korean manufacturer sent out an official statement after a series of reports of S7 and S7 Edge devices starting on fire. Is everyone just looking for problems with Samsung devices now or is there something to these reports? Read on for more. 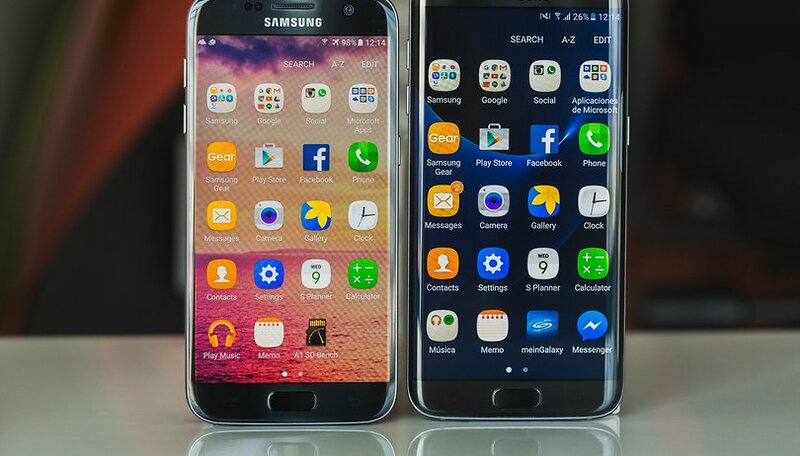 "Samsung stands behind the quality and safety of the Galaxy S7 family. There have been no confirmed cases of internal battery failures with these devices among the more than 10 million devices being used by consumers in the United States; however, we have confirmed a number of instances caused by severe external damage. Until Samsung is able to obtain and examine any device, it is impossible to determine the true cause of any incident". The Galaxy S7 series didn't get a lot of scrutiny over safety problems until Note 7s started exploding, and the S7 line has been one of the best from any Android manufacturer. Unfortunately, Samsung released similar statements during the Note 7 debacle. We'll have to see if more reports come through in the next few weeks. Do you still trust Samsung? Let us know in the comments. Phones being sealed tight leaves nowhere for any heat to escape- sheer stupidity. Another case of make it pretty, but don't worry about the rest of it. Plastic backs are safer, lighter, more practical, and will let heat out. And before anyone says anything about water RESISTANCE, the S5 had a plastic back, and that was resistant to the wet stuff. First I will say I am not a Samsung hater in fact I am a disillusioned but still Samsung fan. I think the Note 4 is still one of the best phones ever made. I think the path that they are one is one that may bring them down. Here is why, Glass is a necessary material to protect the display. Glass on the back of a phone may look great but in my opinion is shear stupidity. 1- it is an insulator 2- it is fragile. Then you make an over sized soft battery ( made of lithium a highly volatile material that get unstable when over heated or exposed to oxygen ) and squeeze it into the phone behind that fragile insulating cover. It is an accident waiting to happen. Like the article said only phones they say that ignited had severe damage. Well duh how easy is it to damage glass and have a piece of sharp glass pierce that soft battery exposing it to the air thus igniting. Glass on the back of a phone is not only stupid it is also carless in my opinion.